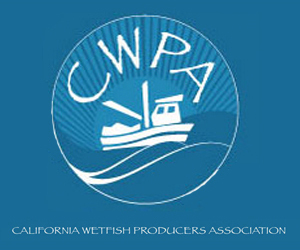 April 19, 2019 — The California Fish and Game Commission is proactively working to avoid further whale entanglements — and further lawsuits. 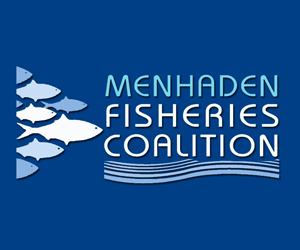 The commercial season closed earlier this week, on April 15, as part of a settlement agreement between the Center for Biological Diversity, the California Department of Fish and Wildlife and the Pacific Coast Federation of Fishermen’s Associations, which intervened on the case. CDFW Director Charlton “Chuck” Bonham said during the introduction that, despite a lot of the rhetoric, the increase in whale entanglements in 2015 and 2016 were examples of the real-life impacts of climate change. While the commercial crab season was delayed for months due to elevated levels of domoic acid, whales also ventured closer to shore in search of prey species. Both of those events were linked to warmer ocean waters. Bonham said during the progression of the lawsuit, the department concluded the judge was likely to rule against the state. Had that happened, the court could have become a “special master” of the crab fishery, he said, and that inserting a federal judge in the management of the fishery wouldn’t make it any easier. Thus, the state proceeded with settlement discussions between all three parties and began working with NOAA to establish a habitat conservation plan for the whales and get an incidental take permit for the fishery. The process could take up to two years. In the meantime, for some areas, particularly south of Mendocino County, the commercial fishery is scheduled to close on April 1. The state also is accelerating its rulemaking activities relative to gear, furthering its gear retrieval program, restricting buoy and line configurations and furthering support for the Dungeness Crab Fishing Gear Working Group, Bonham said. However, there’s also an equity issue, he said. “It’s time to think about a refined approach to how we manage fixed gear in the water,” noting that recreational crab fishing could have similar issues with whale entanglements as the commercial crabbers have had. PCFFA Executive Director supported the director’s comments. The confidential nature of the settlement discussions did not allow any of the parties to discuss potential solutions with the broader fleet, leaving many crabbers frustrated when the agreement was finally disclosed. The fleet had less than a month to remove their gear from the water. Oppenheim described the past few months as the worst period of his professional career, but it pales in comparison to the livelihoods of his members, he said. Many fishermen are losing the spring fishery on which they depend. Others had to delay their fishing seasons due to elevated levels of domoic acid, so the early closure only made things worse. Now, recreational fishermen and other fixed gear fishermen may face the same quandary. Entanglements in other fisheries could have an impact on the settlement agreement. 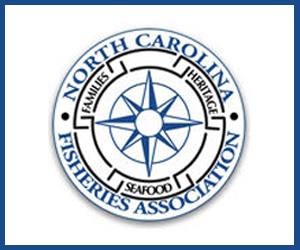 Sport fishermen noted there are vast differences between commercial and sport crabbing gear and sport fishermen should not be subject to the same settlement agreement. It’s manifestly unfair to apply that settlement on parties who had no representation to the discussion, said George Osborne, a lobbyist for the Coastside Fishing Club. Osborn said the club insists that any management measures on recreational crabbers be proportionate to the degree that anglers may be contributing to the whale and turtle entanglements. Commission President Eric Sklar said the commission and managers recognize the differences between the fisheries. The Marine Resources Committee will continue the discussion when it meets on July 11. 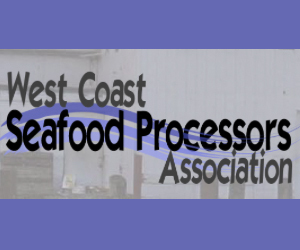 March 6, 2019 — Canada’s snow crab fishery is looking ahead at another year without its Marine Stewardship Council certification, but the real risk may be at the hands of the ecolabel. Last March, the MSC scrambled to suspend its certification of Eastern Canada’s snow crab fishery after a high rate of right whale entanglements and deaths traced back to the fishery in 2017. What happened next was a little surprising — the lack of a label didn’t have much effect on prices. Despite a buoyant market, Canada’s fixed-gear fleets as well as federal and provincial managers set about on an international mission to work with their neighbors to the south who have long been fighting the good fight to reduce right whale interactions. Maine’s lobster fishery has been at the forefront of gear innovations to coexist with right whale migratory and feeding patterns. Ten years ago, the fleet made an expensive conversion to sinking groundline instead of using floating rope between pots on a trawl. But the population of an estimated 411 right whales has been expanding its territory into Canada’s Gulf of St. Lawrence, where regulations haven’t been as robust. Could This Tool Save Washington’s Shellfish? February 25, 2019 — SEAFOOD NEWS — Washington is home to thousands of marine species. Salmon, crabs and bivalve shellfish like oysters and clams fuel both the aquatic food chain and human fisheries — and they thrive under stable levels of acidity, salinity and other marine growing conditions. But over the past few decades, climate change has acidified the world’s oceans at an unprecedented rate, threatening the biodiversity that defines our region and supports these fisheries. As the concentration of carbon dioxide in our atmosphere increases, the ocean dissolves more of it at the surface — producing conditions in Puget Sound and beyond that exacerbate shell deformation, promote toxic algal blooms and create other hurdles to healthy waters. According to the Washington State Blue Ribbon Panel on Ocean Acidification, 30 percent of Washington’s marine species are in danger from it. Ultimately, stopping ocean acidification requires unprecedented international mobilization to reduce greenhouse gases. But if scientists and others could predict the complex undersea interactions that enable its worst effects, they could pull the trigger on short-term, local solutions that might help people and wildlife work around them. Researchers at the University of Washington have invented a computer model to do just that. Each day, LiveOcean compiles a vast array of ecosystemic data — currents, salinity, temperature, chemical concentrations, organic particles and more — to create a three-dimensional, 72-hour forecast for the undersea weather of the Pacific Northwest. This is a particularly welcome tool for the state’s $270 million shellfish industry, which produces more farmed bivalves than the next two most productive states combined, according to the U.S. Department of Agriculture. On the shores of Puget Sound, carbon emissions, excessive nutrient runoff and warming temperatures have made waters that used to be ideal for shellfish farming less dependable, resulting in catastrophic die-offs of oyster larvae in the late 2000s. According to the University of Washington’s Washington Ocean Acidification Center (WOAC), Willapa Bay hasn’t produced any natural oysters for the majority of the past decade, forcing shellfish farmers to purchase “seeds” from hatcheries. But with help from LiveOcean, aquaculture has a shot at adapting farming schedules to the ebbs and flows of mercurial ocean chemistry before more permanent solutions are in place. The state-commissioned model is designed to forecast ocean-circulation patterns and underwater environmental conditions up to three days out. Eventually, it could help everyone in the region get a better understanding of how a changing climate impacts a major source of food, funds, fun and regional pride. Designed by 10 researchers over the course of 15 years, LiveOcean is finally available to Pacific Northwest shellfish farmers (and the public at large) ahead of the 2019 spring oyster spawning season. LiveOcean was pursued in earnestafter Gov. Jay Inslee’s 2012 Blue Ribbon Panel on Ocean Acidification recommended the state “establish the ability to make short-term forecasts of corrosive conditions for application to shellfish hatcheries, growing areas and other areas of concern.” The panel created WOAC and allocated $325,000 toward LiveOcean, which is also funded by the National Science Foundation and the National Oceanic and Atmospheric Administration..
Understanding how water moves is essential to predicting where and when instances of high acidification will be most damaging to shellfish farms, beachgoers and more. The ocean always circulates: The currents scoop up surface water, pull it into the depths of the ocean, then dredge it upward in what LiveOcean lead researcher Parker MacCready calls “underwater rivers.” These cycles circulate water over the course of decades. When water “upwells” back to the surface, carrying nutrients and dissolved carbon dioxide, it’s been out of sight for 30 to 50 years. “It is the biggest thing controlling water properties in the Salish Sea,” MacCready says. These days, the “river” is returning with more nutrients and carbon dioxide — reflections of increased fossil fuel use, agriculture and other human activities during the 1970s. Because we know atmospheric carbon dioxide has increased since then, scientists say we can expect to see even worse ocean acidification in the future. And the interaction between human fossil fuel output and agricultural runoff with Puget Sound’s natural geography can make things worse. A system as dynamic as Puget Sound needs dynamic monitoring, and that’s where LiveOcean comes in. LiveOcean draws on lots of types of data. It sources real-time river-flow information from the U.S. Geological Survey and Environment Canada and three forecasts for conditions in rivers, the ocean and surface and atmosphere. LiveOcean isn’t the only model for underwater forecasts in the Puget Sound and greater Salish Sea region, but it’s unique in significant ways. LiveOcean is the only one that publicly forecasts oxygen concentration (which decreases as acidity increases, putting animals at risk of hypoxia), pH (the primary measurement of acidity), and aragonite (the most important mineral used by oysters to build their shells, and which decreases with acidity). Acidicified water corrodes and sometimes dissolves protective shells, forcing shellfish to expend extra energy on basic life functions. Equipped with this data, LiveOcean can be used to predict where acidified water will move throughout the coastal ocean, estuaries, the Salish Sea and ultimately 45 rivers. Shellfish growers can then ideally use that information to determine when and where they should release sensitive larvae, which spend their first few days of life developing shells and essential organs. To ensure shellfish larvae survive through their first two days of life, aquaculture managers release larvae during peak levels of photosynthesis and aragonite. When adults have to battle corrosion to keep growing, they’re not putting energy into reproducing. 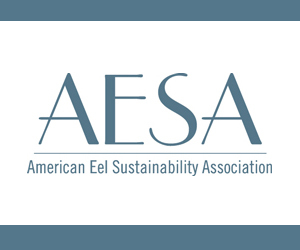 According to Bill Dewey, director of public affairs at Taylor Shellfish Co., shellfish hatcheries can account for the majority of acidic events by fixing water chemistry as it enters the hatcheries, making forecasts less essential to overall planning. They inject more basic (less acidic) mixtures into treatment systems, adjust pumping times, and add shell-building minerals to oyster environments. “Where [forecasting] remains critical is for those in the industry who have what we refer to as remote setting stations,” Dewey says. Setting stations — land-based tanks filled with mesh bags of oyster shells and heated seawater — are where oyster larvae start their lives. Operators place the free-swimming, hatchery-hatched larvae in the tanks, where they “set” by attaching themselves to discarded oyster shells and making them their own. LiveOcean is also the only ocean model that forecasts for microscopic plantlike organisms called phytoplankton, which shellfish eat. Phytoplankon are the essential first link of most marine food chains: the more phytoplankton, the more organic matter in the ocean. However, this can lead to increases in algae blooms, which cover the ocean’s surface and limit oxygen and sunlight. When the blooms die, they create dead zones and add to the ocean’s mounting CO2 reserves. While LiveOcean was developed with the shellfish industry in mind, its ability to predict water movement throughout Puget Sound makes it useful for other applications. NOAA uses LiveOcean to track toxic algal blooms and make decisions about beach closures for coastal razor clam harvests. LiveOcean’s forecasts also feed into tailored apps meant for tuna fishermen, boaters, beachgoers and more. It also models historical ocean events, which helps researchers make projections for how animals and substances travel through the ocean. Elizabeth Brasseale, a UW graduate student in oceanography, used LiveOcean to explore the origin of invasive green crabs that began infesting the West Coast in the late ’80s. Knowing where the crabs come from will inform attempts to eradicate them. “Their range has been expanding, but in all that time they haven’t entered the Puget Sound,” Brasseale says. Using LiveOcean, she was able to see how the Salish Sea’s current patterns act like a force field keeping the invasive larvae out. Some green crabs snuck into Puget Sound between 2014 and 2016, when an intermittent patch of warm water called “the Blob” appeared, mystifying oceanographers. Data from LiveOcean uncovered the conditions that allowed the infestation, and it can predict when and where it might happen again. LiveOcean’s potential for creating new and extended applications is only just beginning to be explored. Recently, parasitic burrowing shrimp have infested Pacific Northwest oyster farms. They’re usually held at bay by fresh water, and that got Dewey to thinking about how LiveOcean could investigate the problem. As more people apply the tool in different ways, a better picture of ocean dynamics will inform how humans adapt to it in the Pacific Northwest. The following was released by SeafoodNews.com, a subscription site. It is reprinted with permission. February 21, 2019 — A fight between Russia’s crab fishing sector at the Russian government has escalated after two damaging reports aired on national television and the government initiated a public investigation into crab magnate Oleg Khan. Russian President Vladimir Putin has proposed reallocating 50 percent of Russia’s crab quota via an auction system. The proposal has generated an uproar in Russia’s seafood industry, with some industry representatives calling the proposal potentially disastrous. In December, separate reports by television stations Russia and NTV aired investigative reports alleging serious issues related to illegal, underreported, and unregulated (IUU) fishing in Russia’s crab fisheries. Both stations editorialized that only a shift to auctions would stifle the illegal activity that they said had become rampant in the industry. In its report, NTV, a private channel owned by Gazprom Media holding, the media body of the mainly state-owned conglomerate Gazprom, accused the Russian crab industry of fishing beyond its quotas, and of illegally exporting the illegally-caught crab to South Korea and Japan. They criticized authorities in South Korean and Japanese ports for not doing their best to prevent illegal import of Russian crab, alleging they often turn a blind eye on improperly filed papers. November 14, 2018 — LONG BEACH, Calif. — Whale entanglements off the West Coast and potential solutions to the escalating problem are the focus of a new report including the presentations and observations of fishermen, biologists and fisheries managers who gathered at an August workshop. In recent years, growing populations of humpback and gray whales, changing ocean conditions and prey locations, and later crab season openings have led to more whales getting entangled in fishing gear, such as the ropes and floats that mark the location of crab pots. In 2017 there were 31 confirmed entanglements off the West Coast, including two humpbacks and a gray whale off the Washington coast, according to a press release from NOAA Fisheries. While NOAA concedes these entanglements are still proportionally rare, they sometimes lead to the deaths of entangled whales, so both fishermen and fisheries managers are seeking solutions. To understand how and where rope and other gear entangles whales and to find ways to address the problem, the Pacific States Marine Fisheries Commission (PSMFC) and NOAA Fisheries’ West Coast Region convened a two-day workshop in Long Beach, California, in August. This “forensic workshop” was also supported by The Marine Mammal Commission, Oregon Sea Grant, and the Aquarium of the Pacific. The report from the workshop is now available at tinyurl.com/whale-entanglement-report. The report provides the notes and presentations from the 31 California, Oregon, and Washington experts who attended. Participating were Dungeness crab fishermen; gear specialists; marine mammal biologists and disentanglement specialists; conservation groups; and federal, tribal and state agency representatives. November 5, 2018 — Wildlife protection groups, led by the Centre for Biological Diversity (CBD), have submitted recommendations to the Canadian government urging them to uphold and expand the existing protections for the North Atlantic right whale, a press release said. The measures put in place this year to outlaw forms of entanglement fishing in the Gulf of St. Lawrence followed the news that 12 right whales had died in Canadian waters in 2017. The Canadian Department of Fisheries and Oceans (DFO) responded by closing key fishing areas in the gulf, including the entanglement-prone snow crab fishery. Aside from the recommendation to expand the protected area, the letter also requested that all Atlantic Canadian fisheries have marked equipment, enabling the owners of entanglement gear to be identified; and make the transition from trap/pot fisheries to ropeless gear. “The right whale population is plummeting as these incredible animals continue to get entangled in Canadian and US fishing gear,” said Sarah Uhlemann, international program director at the CBD. October 24, 2018 — The Oregon crab industry is putting up money to launch a new research study on where whales swim and feed along the Pacific Coast. The study stems from growing concern West Coast-wide about whales getting tangled in fishing gear. Many of the confirmed entanglements in the last few years involved whales snagging crab pot lines. The Oregon Dungeness Crab Commission voted unanimously Tuesday to underwrite the first year of a three-year aerial survey of humpbacks, gray whales and blue whales off the coast. Oregon State University researcher Leigh Torres said the Marine Mammal Institute, which she leads, and the state Department of Fish and Wildlife hope to win a federal grant to cover years two and three. Torres said the best way to track whales is typically from the air. Torres said she was uncertain if the Coast Guard would let whale spotters ride along on routine helicopter patrols twice per month. She was delighted when her request was greeted positively. October 16, 2o18 — Off the shores of Newfoundland, Canada, an ecosystem is unraveling at the hands (or pincers) of an invasive crab. Some 1,500 kilometers (930 miles) to the south, the same invasive crab — the European green crab — is helping New England marshes rebuild. Both cases are featured in a new study that shows how the impacts of these alien invaders are not always straightforward. Around the world, invasive species are a major threat to many coastal ecosystems and the benefits they provide, from food to clean water. Attitudes among scientists are evolving, however, as more research demonstrates that they occasionally carry a hidden upside. Simkanin co-authored a new study showing that on the whole, coastal ecosystems store more carbon when they are overrun by invasive species. Take the contradictory case of the European green crab. These invaders were first spotted in Newfoundland in 2007. Since then, they have devastated eelgrass habitats, digging up native vegetation as they burrow for shelter or dig for prey. Eelgrass is down 50 percent in places the crabs have moved into. Some sites have suffered total collapse. That’s been devastating for fish that spend their juvenile days among the seagrass. Where the invasive crabs have moved in, the total weight of fish is down tenfold. The loss of eelgrass also means these underwater meadows soak up less planet-warming carbon dioxide from the atmosphere. In Cape Cod, Massachusetts, the same crab is having the opposite impact. Off the coast of New England, fishermen have caught too many striped bass and blue crabs. These species used to keep native crab populations in check. Without predators to hold them back, native crabs are devouring the marshes. October 10, 2018 — A federal judge last week dismissed a lawsuit brought by commercial fishing groups that challenged the creation of a marine national monument in 2016. 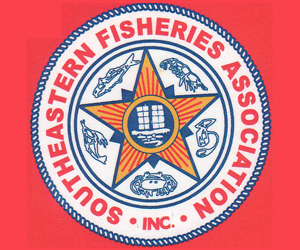 The organizations, which included the Long Island Commercial Fishing Association and the Massachusetts Lobstermen’s Association, claimed the administration of U.S. President Barack Obama did not have the authority to establish the Northeast Canyons and Seamounts Marine National Monument. The monument is the first national marine monument established in the Atlantic Ocean. 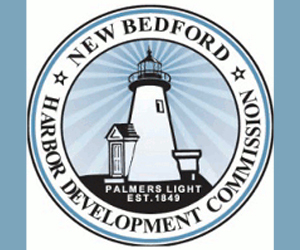 Because of the designation, commercial fishing – except for certain red crab and lobster fishing – is prohibited in the 5,000-square-mile area. The crab and lobster fishing will continue until their permits expire. While the administration of current U.S. President Donald Trump has been considering reopening it and other marine monuments for commercial fishing, it did seek the dismissal of the lawsuit, claiming the Antiquities Act gave presidents the right to establish and define such monuments. 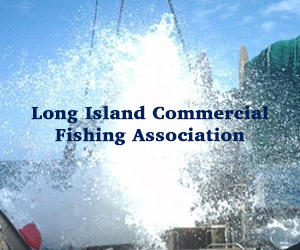 “This is not a joke, jobs will be lost and thousands of people’s lives will be impacted through a back-door process that did not require formal federal review,” said Bonnie Brady, executive director of the Long Island Commercial Fishing Association in a Facebook post.